Babylonian Twins takes twin princes of Babylon, Nasir and Blasir, in a quest for peace in ancient Iraq. If you enjoy fun and fast action puzzle platformers, give Babylonian Twins a check. Babylonian Twins is about the story of the twin princes of Babylon, Nasir and Blasir, and their quest to defeat the evil magic of the great sorcerer and restore peace to the empire. Babylonian Twins uses a unique role playing setup that I haven’t seen on an iPhone before. Unlike most games that feature one character, in Babylonian Twins, players are able to switch between the two characters during game play. At first this feature does not seem important, but the game quickly makes it evident that character switching delivers some important abilities. Each character has different traits, so as players progress through a stage, a specific ability may be required that the active character does not possess. Using both characters together is the only way to guarantee success and this means that it would not be wise to leave your other character behind! By switching from one character to the other, this does leave one character inactive which turns the inactive character into a statue. However as a statue the inactive character can be used as a step to reach higher and difficult areas. To highlight some of the different character traits, Blasir is able to jump high, uses a sword, and has this really awesome super fast sprint that allows the character to open hidden walls or reach difficult areas. By contrast, Nasir has lower jumps, punches with his fist (no weapon), can perform magic to reveal secrets, and has a super spin move that allows the character to open hidden areas. The game includes five areas to explore: The Tower of Babylon, The Assyrian Palace, The Hanging Gardens, The Procession Street and The Old Dungeon. Among the five areas, there are many challenging puzzles with a variety of obstacles, switches, keys, and hidden areas. The game also features OpenFeint integration with achievements and leaderboards so that players are able to challenge the world. 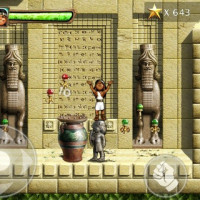 Overall, Babylonian Twins is a great puzzle platformer that has very responsive and easy to use controls. 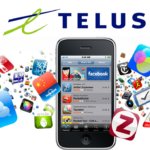 The game features a lot of depth and exciting features and the OpenFeint integration is a great add-0n. While the game includes its own great in-game music, players are able to use their own iPod music instead which is always a nice option to have. 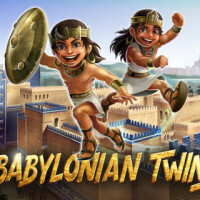 Babylonian Twins is available in the App Store for $2.99.